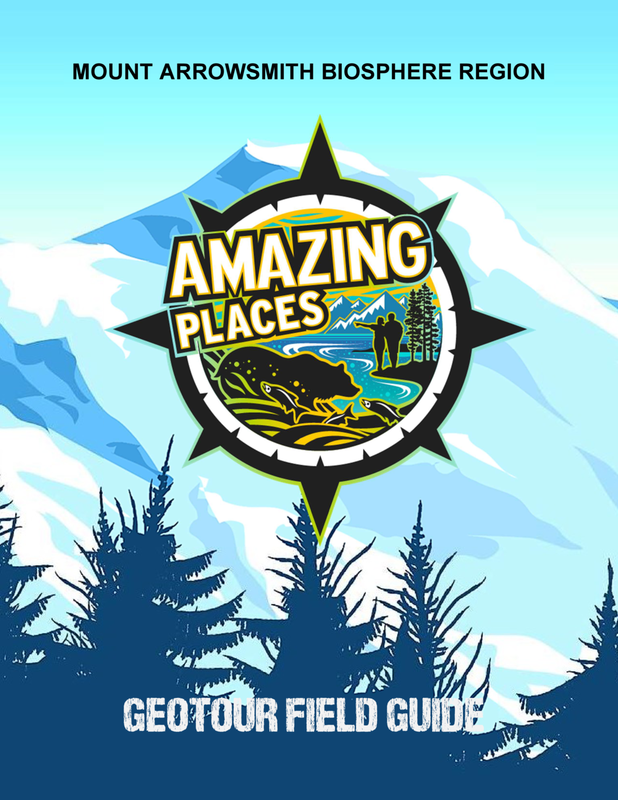 Experience the magic of the Mount Arrowsmith Biosphere Region’s 10 Amazing Places with the Official Amazing Places Geotour! 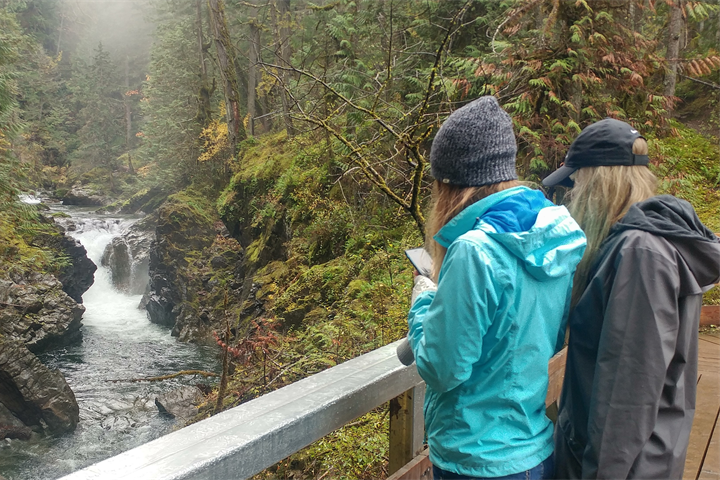 We’ve partnered with Geocaching.com to bring you a fun and exciting way to visit the region’s most beautiful places. Geocaching is a real-world outdoor treasure hunting game. Millions of players use the Geocaching® app or a GPS to find cleverly hidden containers called geocaches and log their experiences online. The Geotour Field guide was developed to help you through the geotour. Chock full of helpful and interesting information - including instructions on how to complete the geotour, cache code collection pages, a map of the region, and tons of information on each Amazing Place and its geocache - it will guide you through completion of the geotour so you can redeem your collection page for a prize: a customized Amazing Places Geotour geocoin! The Amazing Places Geotour consists of 6 traditional geocaches and 2 multi-caches. To complete the geotour, use the coordinates in the Field Guide or on the geocaching app to find the geocaches. In each physical cache is a unique coin. Take a pencil rubbing of each coin in the corresponding box on the cache code collection page in the Field Guide to prove your find. Then, find the Amazing Places interpretive sign at each location to answer the GeoClue on each page of the Field Guide. The sign coordinates are listed in the Field Guide and shown as waypoints on the geocaching app. Read the sign to answer each GeoClue on the cache code collection page. When completed with 8 coin rubbings and 10 GeoClue answers, bring your completed cache code collection page to one of the locations listed above to get your coin! Download the Geocaching.com app or use your GPS to get started on your Amazing Places Geotour adventure today!